We walked through the Land of Oz, capturing photos and stories. The mysterious Land of Oz theme park only opens its green gates a few days each year -- meaning only a handful of people get to experience the magical world that lies within. 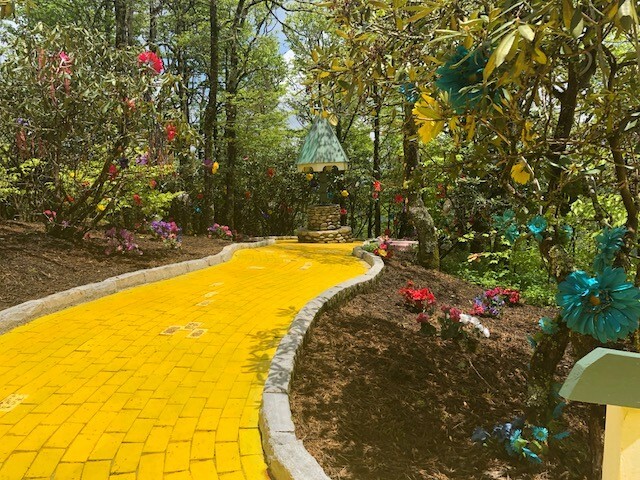 In fact, many North Carolinians have no idea the yellow brick road runs through our very own mountains. However, for those lucky enough to have visited the park back in the 1970's, the childhood memories lasted a lifetime. So whether you visited Oz as a child or have not yet flown over the rainbow, this is your chance to explore the yellow brick road -- from its ribbon cutting with Debbie Reynolds and Carrie Fisher in 1970, to the tragic fire in the Emerald City, to the hidden Easter Eggs awaiting you today. We walked through the Land of Oz, capturing photos and stories on a guide from Sean Barrett, the park's Artistic Director. Let's step back in time and remember. Sitting atop Beech Mountain, the East Coast's highest resort, the Land of Oz really is way above the chimney tops. Jack Pentes, the park's renowned designer, was brought in by Carolina Caribbean Corporation to develop an idea for the land. "He immediately thought the landscape looked like Oz," said Barrett. With incredible cliffside views, natural waterfalls and moss-covered boulders, it's not difficult to see how Pentes felt the land was destined to be the Land of Oz. Pentes was determined to create a truly magical experience, something wondrous that children would remember forever. "He walked the property on his knees on a dirt path so he could design everything from a child's perspective," explains Barrett. Pentes refused to alter the natural environment. Instead, Oz was built into the mountain's landscape, so the "natural beauty of Beech Mountain is very evident in the design." "Jack's mind was phenomenal," mused Barrett. Modern parks typically destroy the landscape in order to develop their vision; it makes development far simpler. Pentes, however, always thought outside-the-box, which is part of why the Land of Oz had such a profound impact on the people who visited. "Jack drew inspiration from both the book and the movie, but he also designed the park very much to the era," explains Barrett as we walk past oversized, brightly-colored mushrooms sprouting from boulders beside a waterfall, like a scene from Alice in Wonderland. The vibrant 1970's psychedelic aesthetic plays a huge role, and while modern decor has been introduced, some of the kaleidoscopic and eerie design elements remain. The 1970's children's television program H.R. Pufnstuf had a lot of influence. "The Wicked Witch was based off a character from that show," said Barrett. "We had a lot of dancing mushrooms." Along the yellow brick road, we find vintage props and decorations conjuring the nostalgia from nearly 50 years ago. Eerie, grotesque masks adorn the naturally gnarled and knobby trees in the Witch's forest; they watch us with blank eyes and bulbous, warted noses as we walk past. Vivid, giant mushrooms sprout from the mossy boulders. A collection of birdhouses, some broken and showing their age, sit within a tall skinny cage around a tree. But even the delicate aging of a decades-old park simply adds to the charm and sentiment for an era long gone. "Today we do still pay homage to a lot of those 1970's elements, but we also incorporate a lot of elements from the Wizard of Oz that everybody knows and loves." Part of the wonder of the Land of Oz is its simplicity. 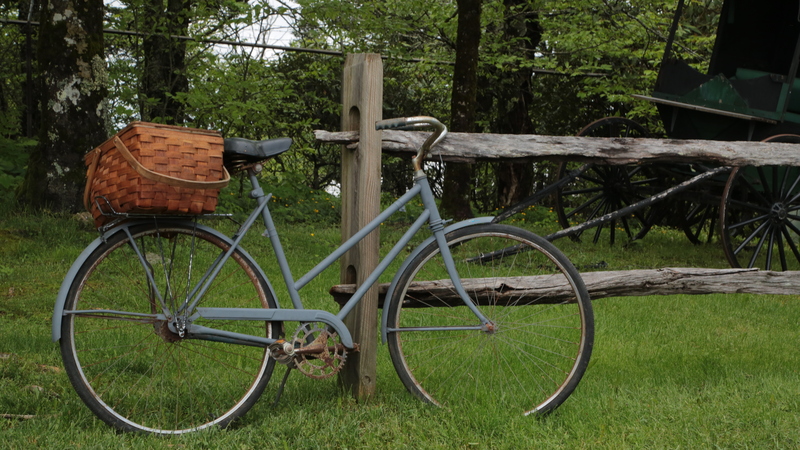 We arrive at Dorothy's farm in Kansas, where the Wicked Witch's bicycle is already parked against the gate outside. Inside the house is a perfect replica of the movie set, complete with Toto and Dorothy's bedroom. From the basement door, the ominous roar of tornadic wind lures us into a dark pathway with black lights, loud music, and psychedelic paintings on the black walls. When we step out, the floor is tilted at a disorienting 15 degrees, and we're stumbling through the shambles and remains of Dorothy's house after the twister has dropped it. "When building the house, construction workers could only work for 20 minutes at a time, before they'd need a break from the vertigo." As we exit the front door, we catch a glimpse of the full technicolor glory of Oz. We run like children to the yellow brick road. These were the 1970's versions of special effects, but they evoke powerful childhood memories many people remember even today. Pentes employed simple tricks in profound ways. "During the final performance in the Emerald City, Dorothy would sing about wanting to go back home. Then she'd click her heels and in a puff of smoke, she'd vanish. Then, she'd re-appear in a balloon ride that carried her over the park, waving at the crowds," said Barrett as we took in the magic of seeing Oz for the first time. When we reach the iconic green gates with the giant yellow "OZ" painted on the doors, I ask hopefully, "Are we going to see the Emerald City?" Barrett sadly shakes his head: "No. Back in the day we had an Emerald City with an amphitheater, gift shops, and a restaurant. But in 1975 a fire destroyed Emerald City." A purple horse-of-a-different color still peers out from behind a secret bush, all that remains of the once-great Emerald City. After a booming decade in the 1970's, the Land of Oz theme park closed its doors in the 1980's. "There were a few factors that led to us closing," says Barrett sadly. "The gas crisis of the mid-70's put a damper on tourism. Plus, Carolina Caribbean went under in 1975." In 1980 there was a moment of hope when Pentes returned to re-design the park and bring it up to standards; alas, the cost was too much for the people in charge at that time. For ten years, the park stayed closed. In Peter Pan, another classic children's story, the power of people clapping and believing brings fairies back to life. Well, in the 1990s "people wanted us to come back," smiled Barrett. The kids who visited in the 1970's had grown up, and they wanted to bring their kids to Oz. It brought a surge of emotion. "I had grown men get on the yellow brick road and they'd get teary-eyed." One woman returned to visit Oz after decades away, carrying a photograph from her childhood visit. "She told us the story of how she'd been scared when she visited as a child, but the Dorothy held her hand the whole time." That memory had stuck with her over the decades. As it so happened, that original Dorothy was also visiting the park that same day. They had the chance to re-connect after all those years. "Oz is very, very close to a lot of people -- the story, and also the theme park. We had a lot of the original cast members come back." The original cast had grown-up, but they still had roles to play. Girls who played Dorothy returned after 20 years to play Ms. Gulch and Aunt Em. An original Tin Man came back to play the Wizard. Several cast members brought their children to play the same roles they once played. Working at the Land of Oz is a legacy. The park's magic and popularity leave people frequently wishing for a glimpse inside, but tickets can still be difficult to come by. For those hoping to sneak a peek of the iconic yellow brick road, the park opens again in September -- but only for a few days. Heather is an ABC11 Community Influencer. Read more of her work on her blog .